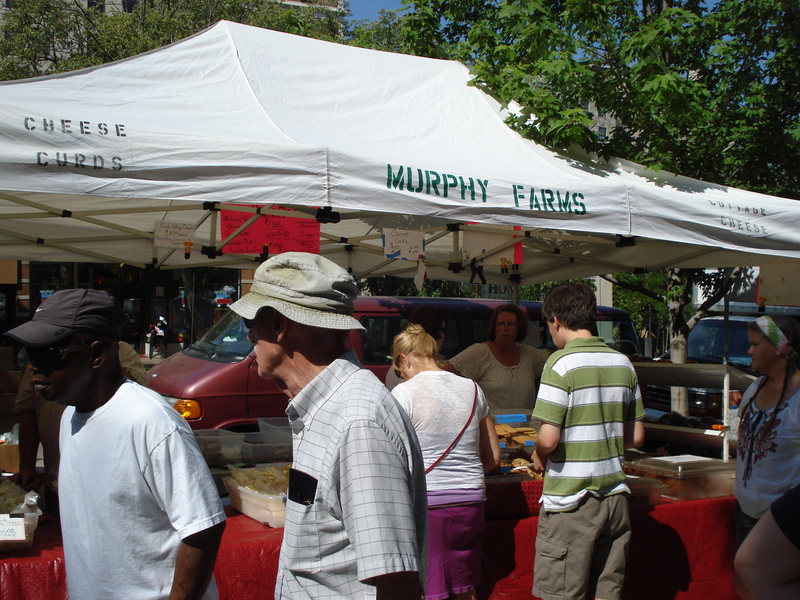 Celebrating 40 years, the Dane County Farmers’ Market is the largest producers-only farmers’ market in America. 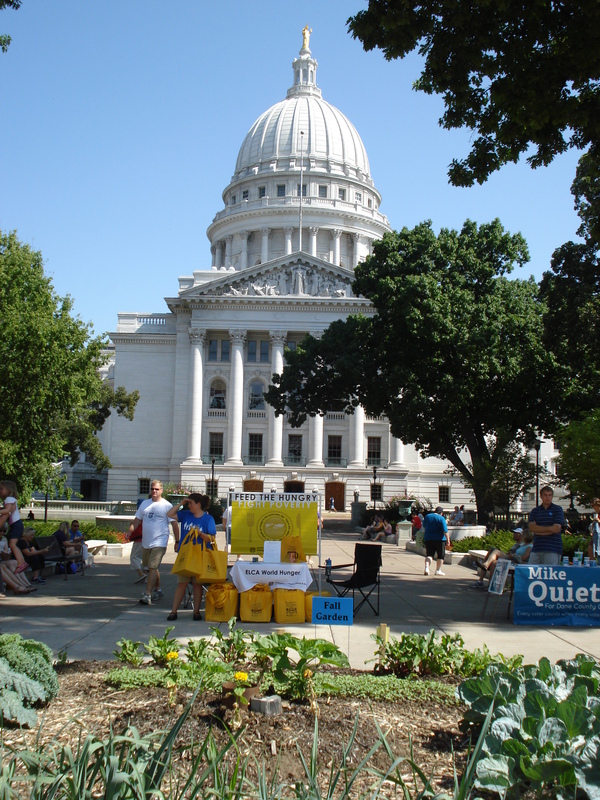 The market completely encircles the Madison Capitol building and has approximately 300 vendors. 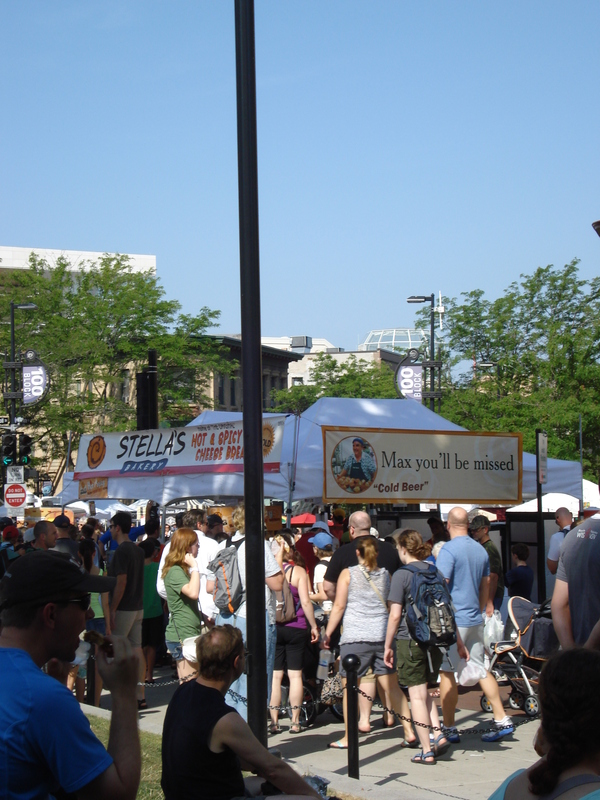 When I was living in Madison, Wisconsin, this event was a weekly Saturday ritual — one that generally took a hour or two. About an hour for people watching and an hour to go around the market. 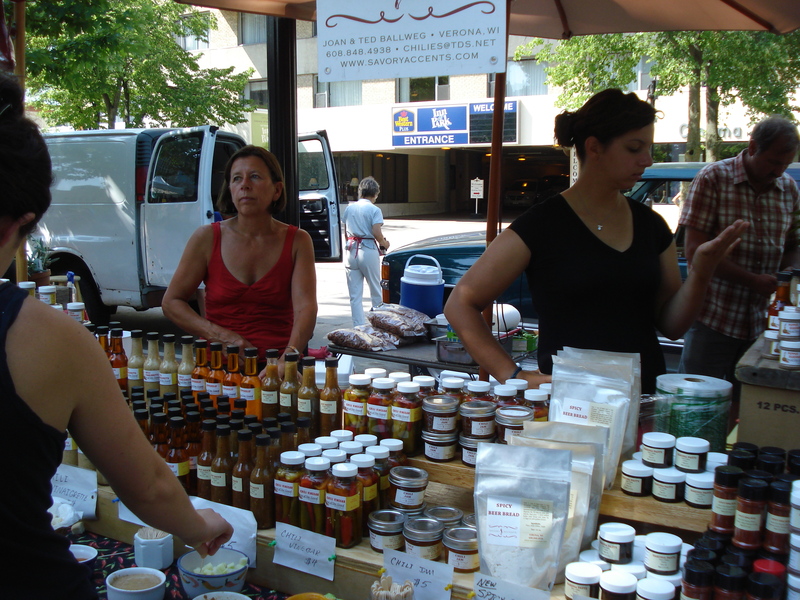 So, when we were in Madison, Wisconsin we had to make a stop at the Farmers Market! “L” and I met a dear friend and started off with a treat from Stella’s Bakery and found a place on the Capitol lawn to people watch. After some people watching and conversation, it was time to start our first loop. You are never short of choices at this market with everything from produce to flowers to cheese, meats, eggs, sauces, honey, preserves, pastas, and the list goes on and on. As tempting as the produce was, we did try to keep our shopping to items that would travel back to Texas well and wouldn’t need to be used immediately upon arrival, since it would be four days after the market until we would be home. 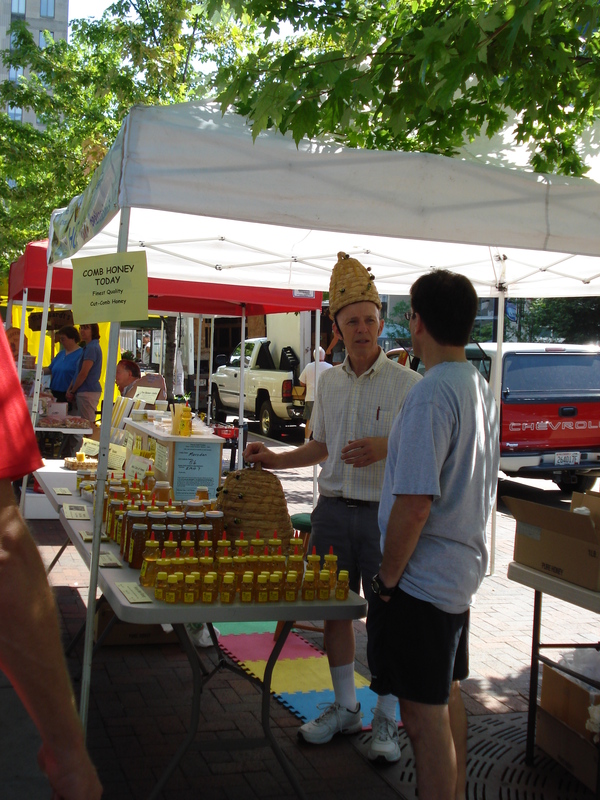 You’re also never short of seeing interesting sights, like the “bee guy” from Marden’s Pure Honey. And there are always some fun and interesting vendor names to catch your attention as well. 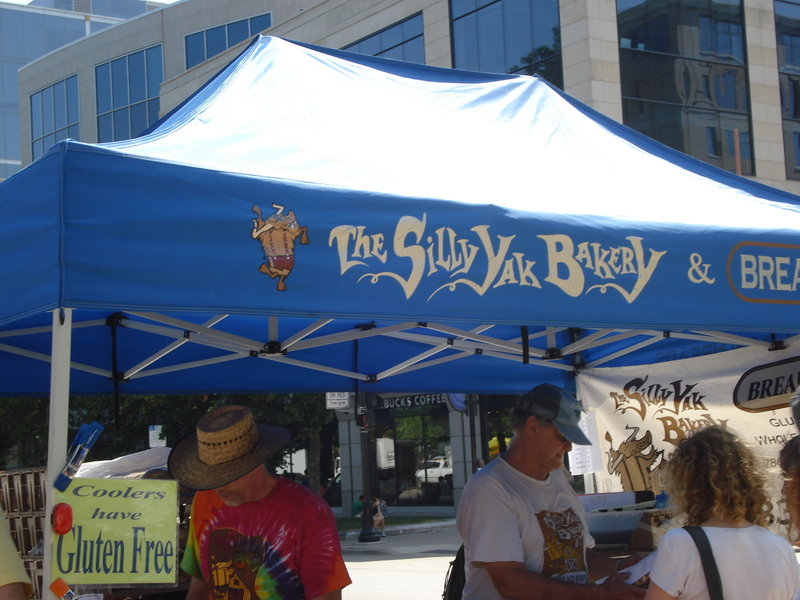 My favorite happens to be Silly Yak Bakery, which specializes in gluten-free bakery products. Our first stop was for chili oil. 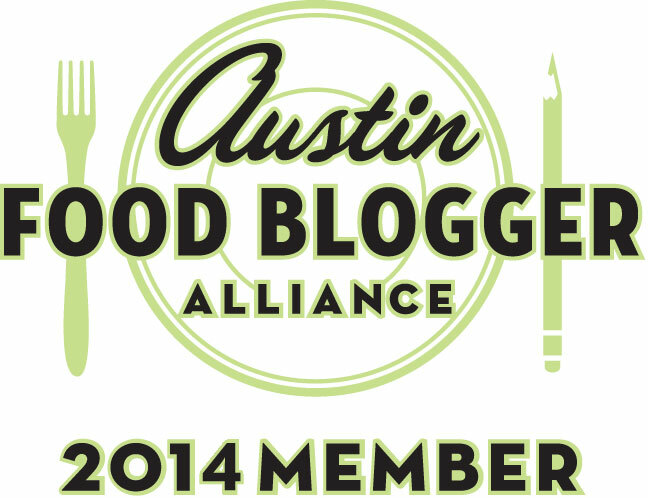 I absolutely love the chili oil that comes from Savory Accents and use it to add a bit of zip to many of my recipes. 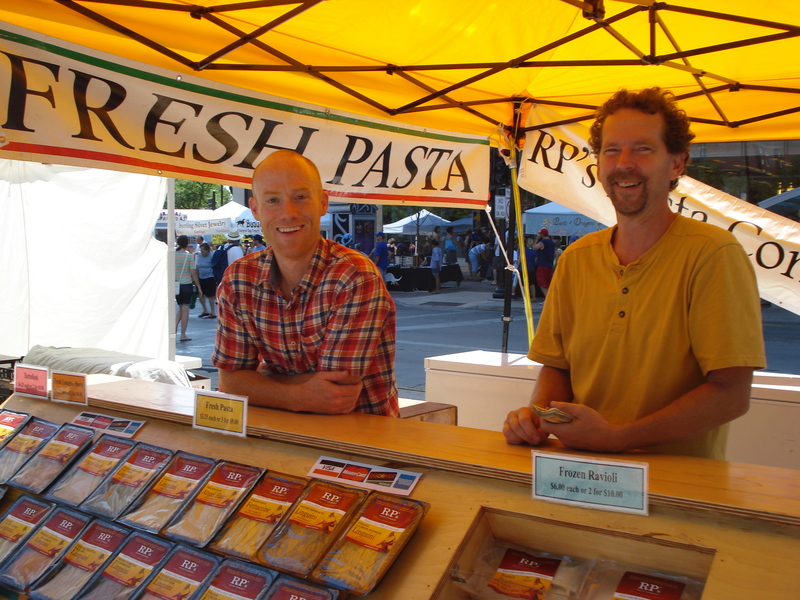 Next was a stop to RP Pasta where we picked up two packages of fresh pasta — Gorgonzola Tortelloni and Fresh Italian Herb Linguini. The one thing about farmers markets is that you will more than likely end up making some sort of impulse purchase. A purchase that may not have been on the list, but looks so incredibly good that you just can’t pass it up! 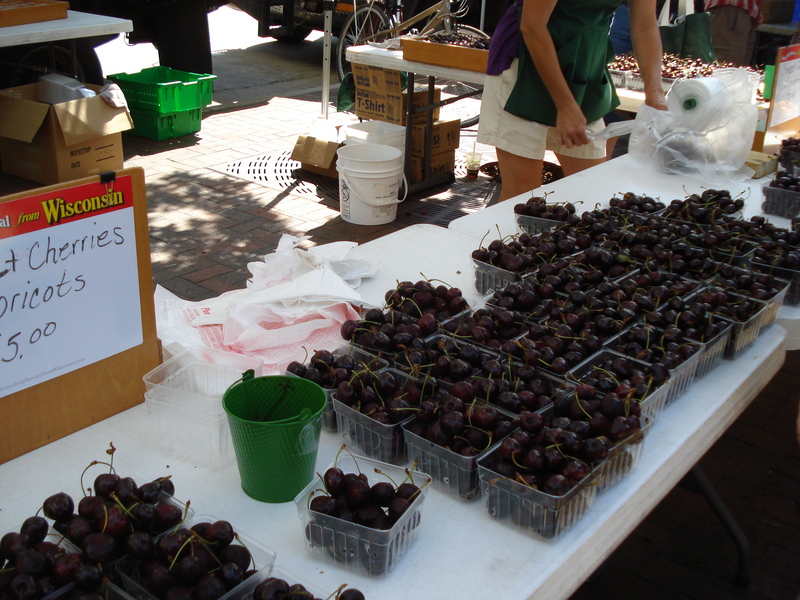 For this trip to the market, it was the Door County Cherries that had been picked and brought down just for the market. So, we had gotten some great little odds and ends but there was still something missing. Cheese! We did two stops for this. The first was Murphy Farms for some cheese curds. 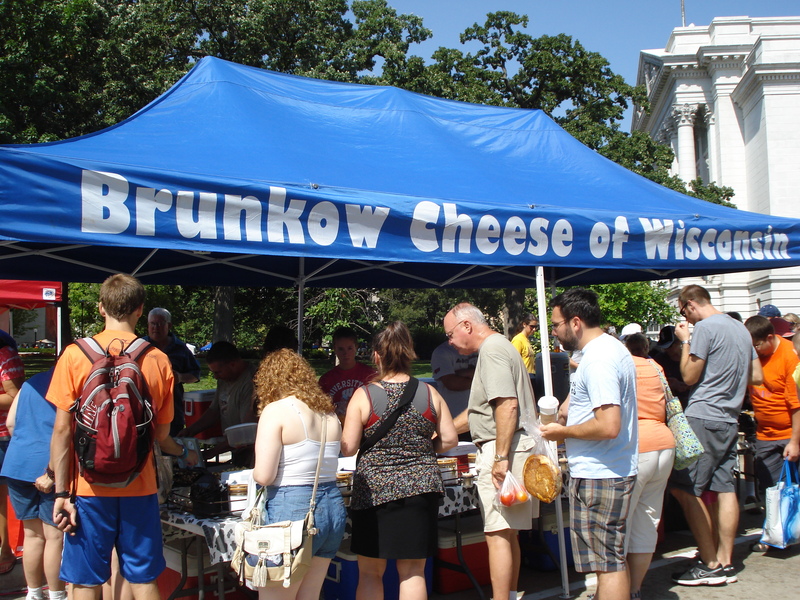 And then it was Brunkow Cheese of Wisconsin for aged cheddar and baked cheese. 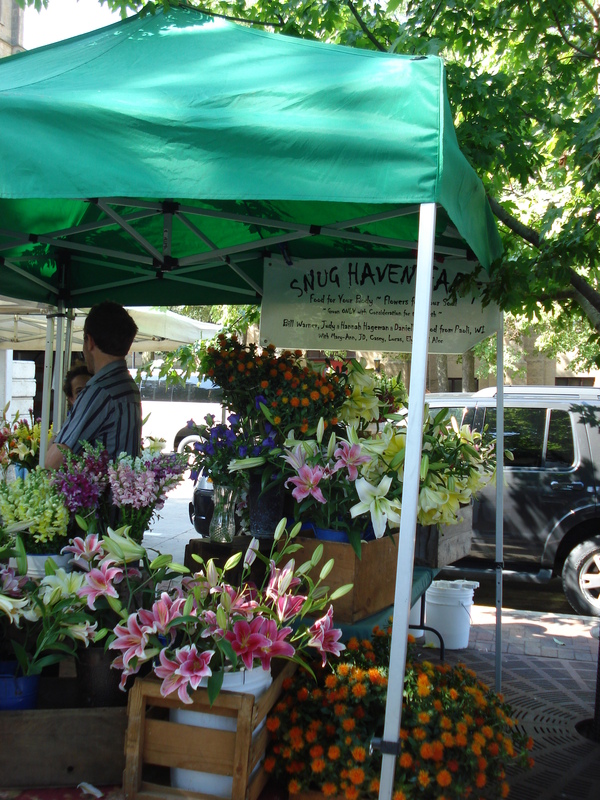 To me, there is little better to do on a Saturday morning than go to a great farmers market to purchase locally grown and made food! Thank you so much Robin! How thoughtful! Oh man, I miss that market! I’m so glad you guys were able to enjoy it. It was one of my favorite things to do in Madison. This entry was posted on July 16, 2012 by Jessica Romigh in Adventures, Farmers Markets, Green Door Adventures and tagged Brunkow Cheese of Wisconsin, Capitol Building, cheese curds, dane county farmers, Dane County Farmers Market, Door County cherries, farmers market, food, gluten-free, Madison Wisconsin, Marsden's Pure Honey, Murphy Farms, RP Pasta, Silly Yak Bakery, Stella's Bakery, travel, Wisconsin.